I'm currently making a WindowBlinds skin for the GUI Championships, and this is the cursor to match it. 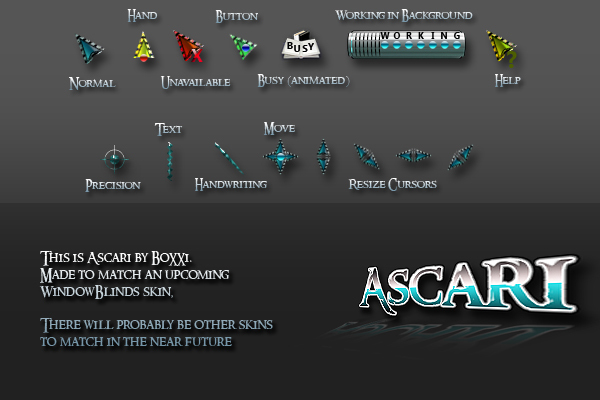 I just downloaded this cursor set yesterday and my cursorfx program crashed (froze) today when I tried changing cursors. I removed this set and my program runs fine. I think maybe this file has become corrupted. great work as usual, you are so talented, thanks for sharing your talent!